Permanent Painted Coatings (PPC Co.) distributor of various well known automotive restoration products have now added the Bill Hirsch range of restoration paints to their warehouse. 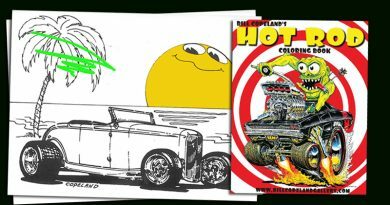 Bill Hirsch started in this business in the mid-sixties trying to find an engine paint for his restoration of a 1930 744 Packard Sports. He couldn’t buy a quart but had to buy 10 gallons and so the business started. He and Tom Slutsker the originator of POR-15 partnered up for a while but they eventually went their own ways. 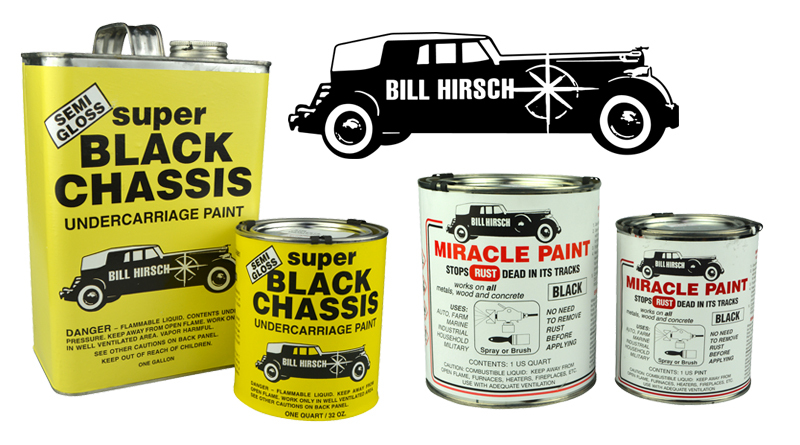 Bill Hirsch Automotive Products have a full range of rust preventative paint in their Miracle paint range, extremely tough, very brush able (can give almost a spray finish) that come in Black, White, Silver and Clear and various sizes from 125ml to 3.8lt’s. 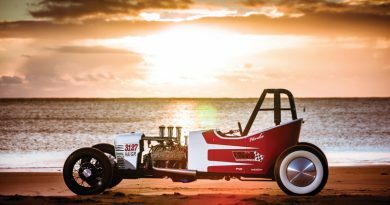 The range includes a large list of Engine Enamels, Exhaust Heat Paints and their Super Chassis Paint. Rob Harrington-Johnson the CEO of PPC Co said it’s great to work with a long established company that still believes in old fashioned formulas that haven’t changed. PPC now carries an extensive range of restoration products and tools from Eastwood, leather care and restoration from Leatherique, and car care and anti rust products from Bilt Hamber as well as their own PPC range. 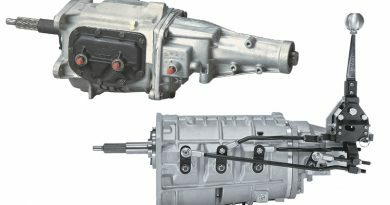 PPC products are available from dealers around the country. 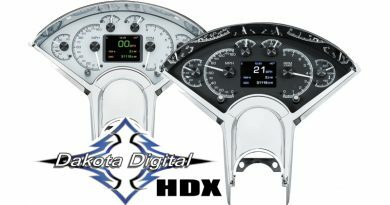 For your nearest dealer ring 02 9999 0122 or go to the web site www.ppcco.com.au.